Annette Costanzi worked closely with George Vance to create the materials that would become the highly influential Progressive Repertoire series. In this conversation, Annette shares her memories of the special magic surrounding the creation of this series, what George was like as a person, and how this series evolved. 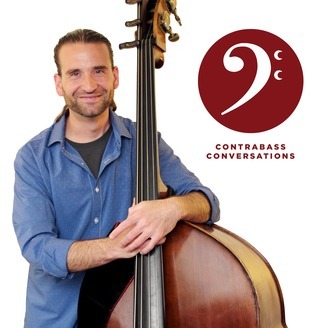 Listen to Contrabass Conversations with our free app for iOS, Android, and Kindle! This episode is brought to you by D’Addario Strings! Check out their Zyex strings, which are synthetic core strings that produce an extremely warm, rich sound. Get the sound and feel of gut strings with more evenness, projection and stability than real gut. The Samuel Kolstein Violin Shop was founded by Samuel Kolstein in 1943 as a Violin and Bow making establishment in Brooklyn, New York. Now on Long Island, over 60 years later, Kolstein’s has built a proud reputation for quality, craftsmanship and expertise in both the manufacture and repair of a whole range of stringed instruments, and has expanded to a staff of twelve experts in restoration, marketing and production. 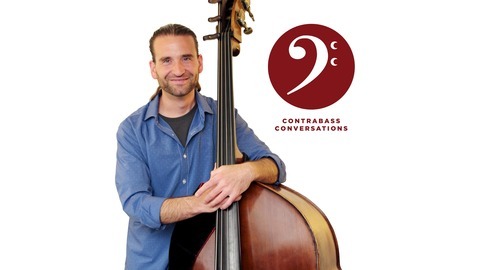 Steve Swan String Bass features the West Coast’s largest selection of double basses between Los Angeles and Canada. Located in Burlingame, just south of San Francisco, their large retail showroom holds about 70 basses on display. Their new basses all feature professional setups and come with a cover at no additional cost. Used and consignment instruments receive any needed repairs and upgrades before getting a display position on the sales floor. Upton's Karr Model Upton Double Bass represents an evolution of our popular first Karr model, refined and enhanced with further input from Gary Karr. Since its introduction, the Karr Model with its combination of comfort and tone has gained a loyal following with jazz and roots players. The slim, long “Karr neck” has even become a favorite of crossover electric players. The Bass Violin Shop offers the Southeast’s largest inventory of laminate, hybrid and carved double basses. Whether you are in search of the best entry-level laminate, or a fine pedigree instrument, there is always a unique selection ready for you to try. Trade-ins and consignments welcome! An institution in the Roscoe Village neighborhood for over 20 years, A440's commitment to fairness and value means that we have many satisfied customers from the local, national, and international string playing communities. Our clients include major symphony orchestras, professional orchestra and chamber music players, aspiring students, amateur adult players, all kinds of fiddlers, jazz and commercial musicians, university music departments, and public schools. Subscribe to the podcast to get these interviews delivered to you automatically!